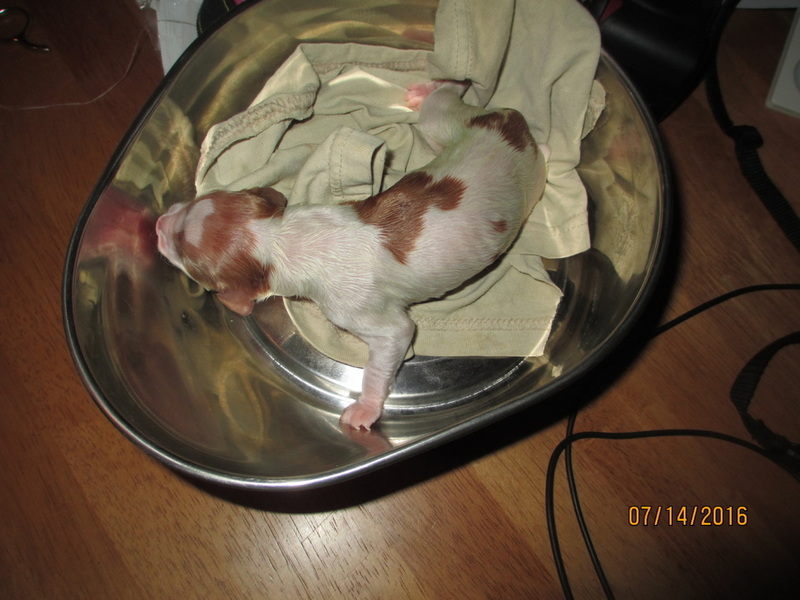 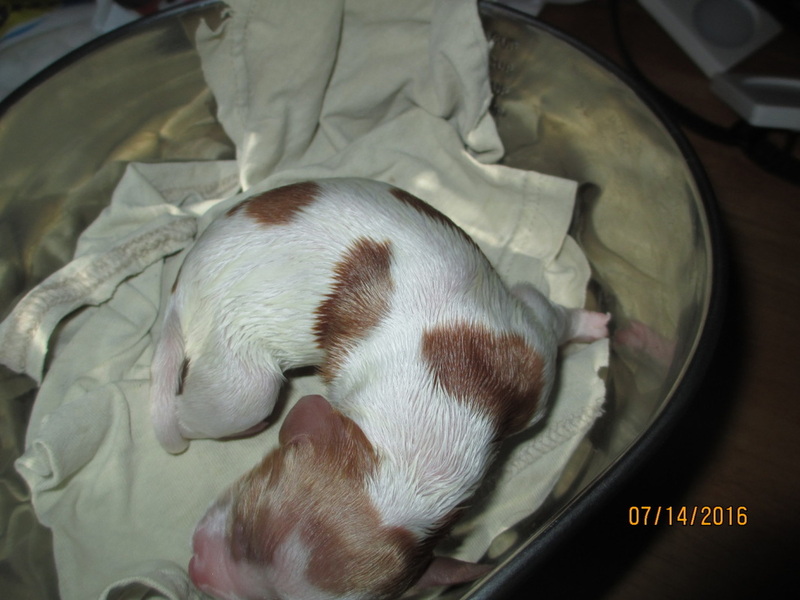 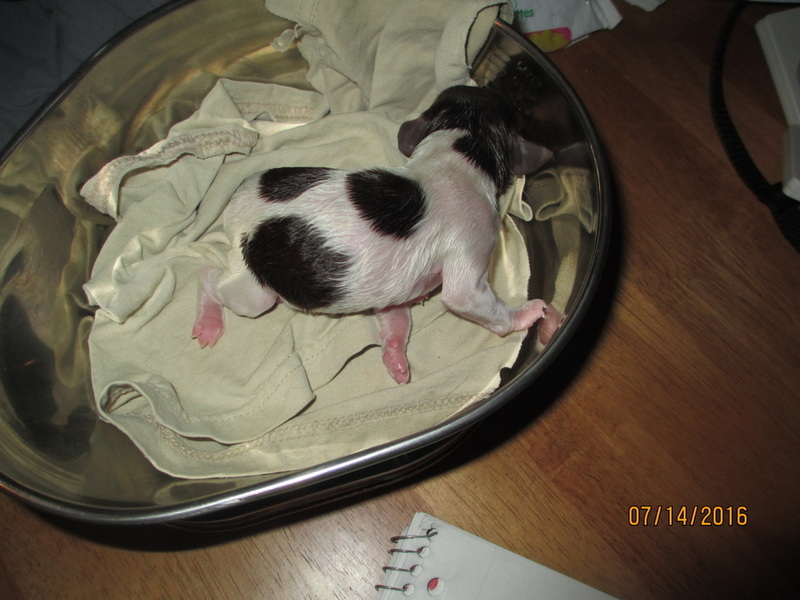 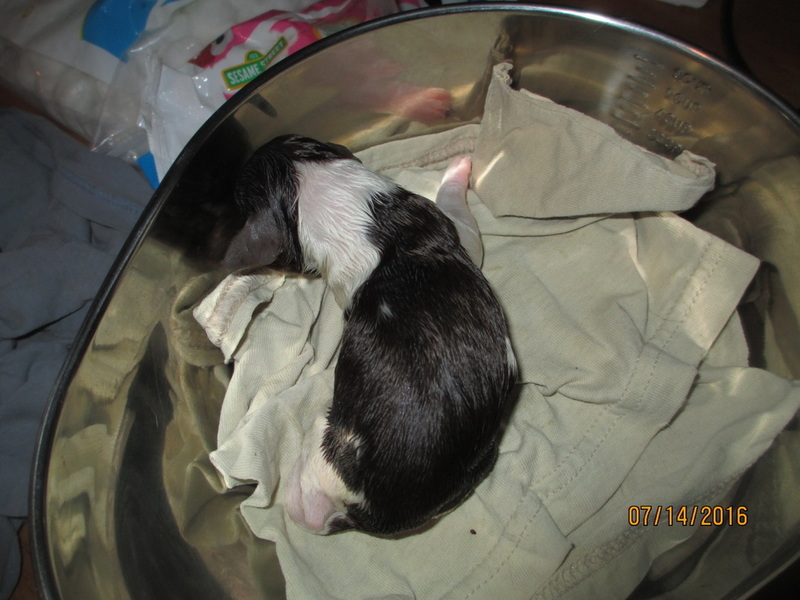 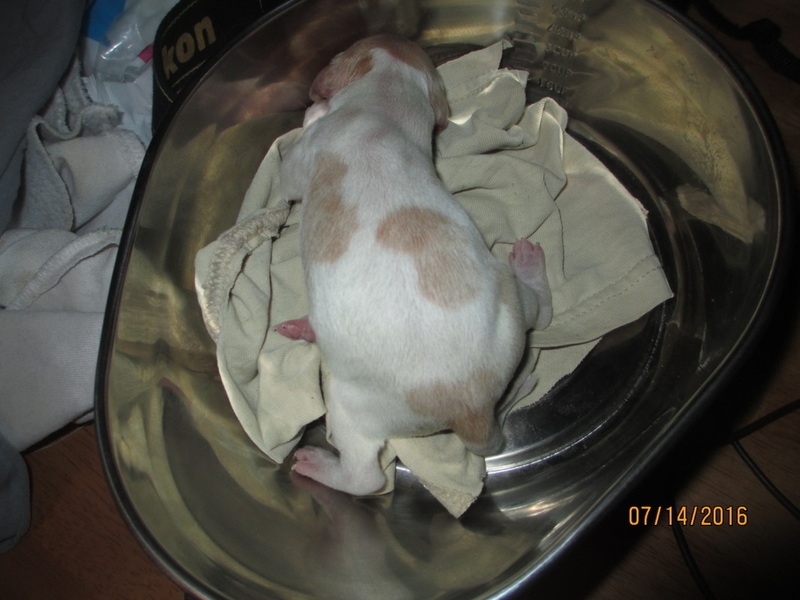 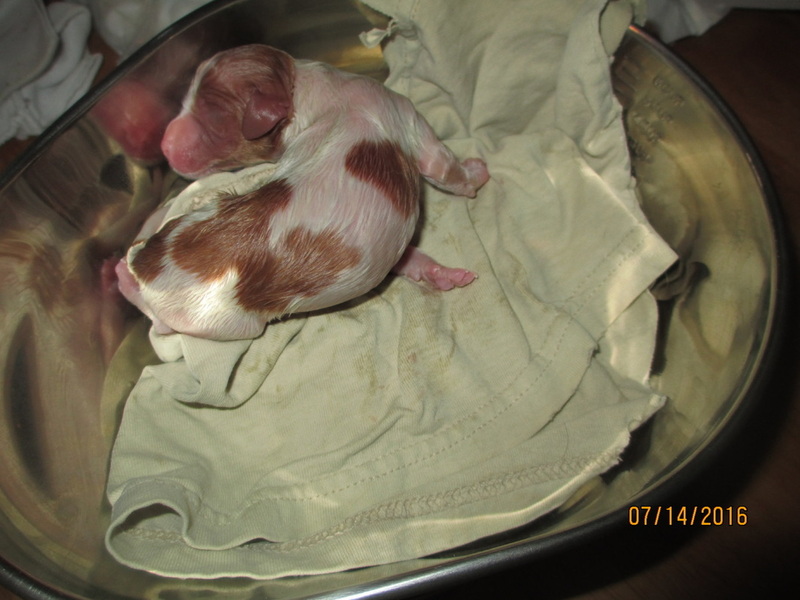 Twelve puppies were whelped July 14, 2016! 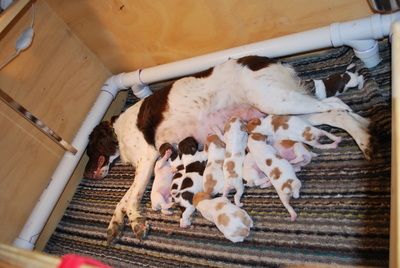 We have two males and ten females. 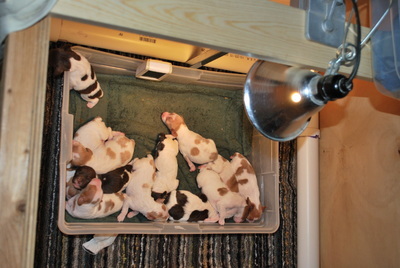 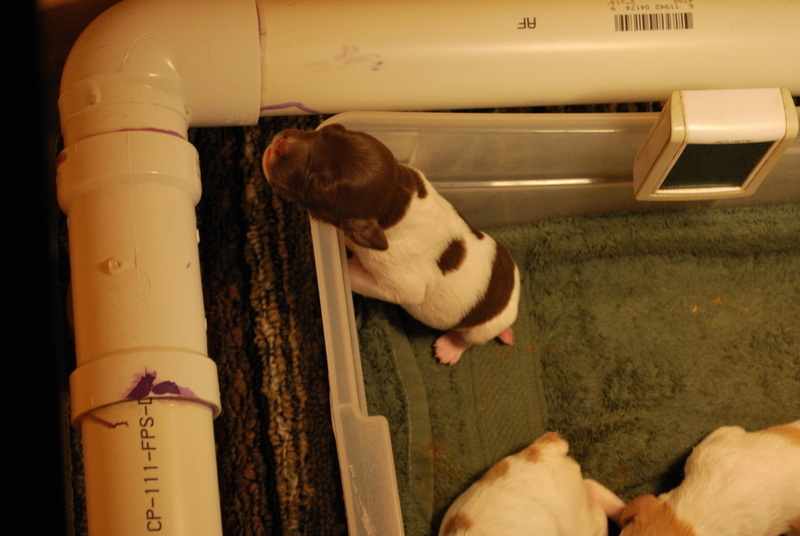 ​We have bred "Taters" Dr Jac's It Must Have Been The Roses to "Petey" UAGCH, UCD, URO3, BOBx5, UCH, AFC, DC, GCH Havapal's Rev Me Up Repeat VCD1, BN, RE, OA,OAJ, OJP, OAP, NFP, SH, CGC, **2009 FTCI Runner Up Walking Derby Dog (Brittany) of the Year**. 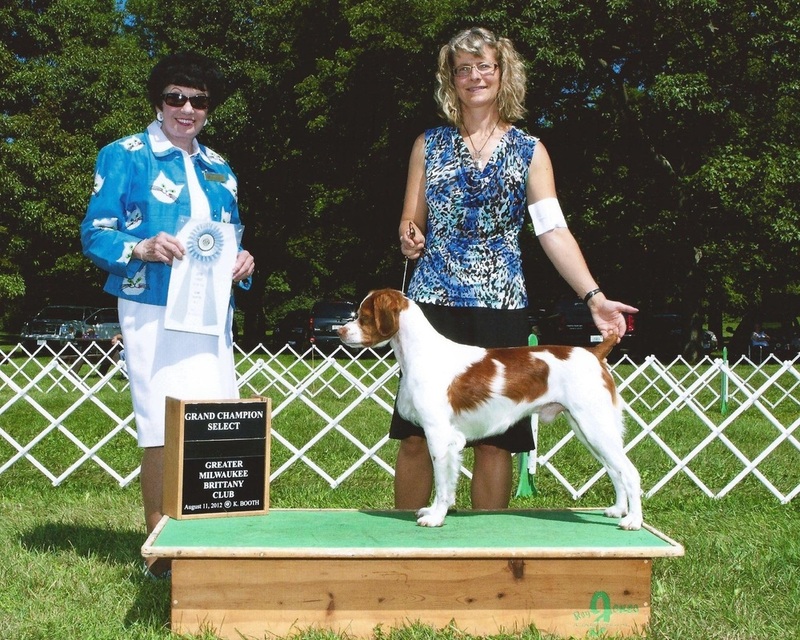 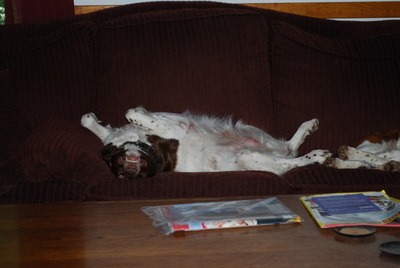 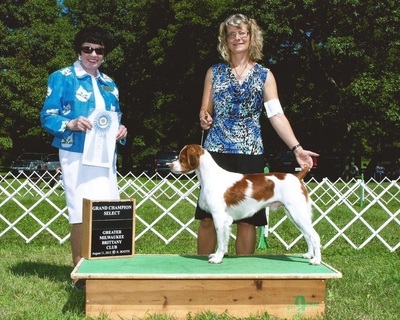 Taters and Petey have OFAs and DNA on file with the AKC. 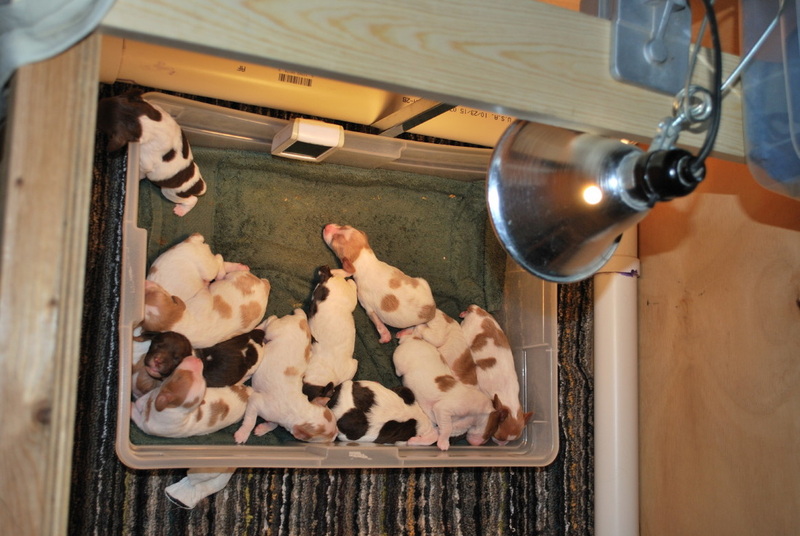 All puppies will be sold with a health and hip guarantee. All puppies are priced at $875. 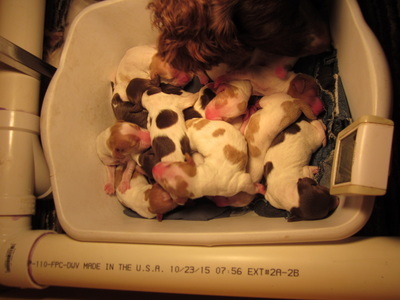 A $100 reservation is required to reserve a puppy. Reservations will be honored in the order they are received. 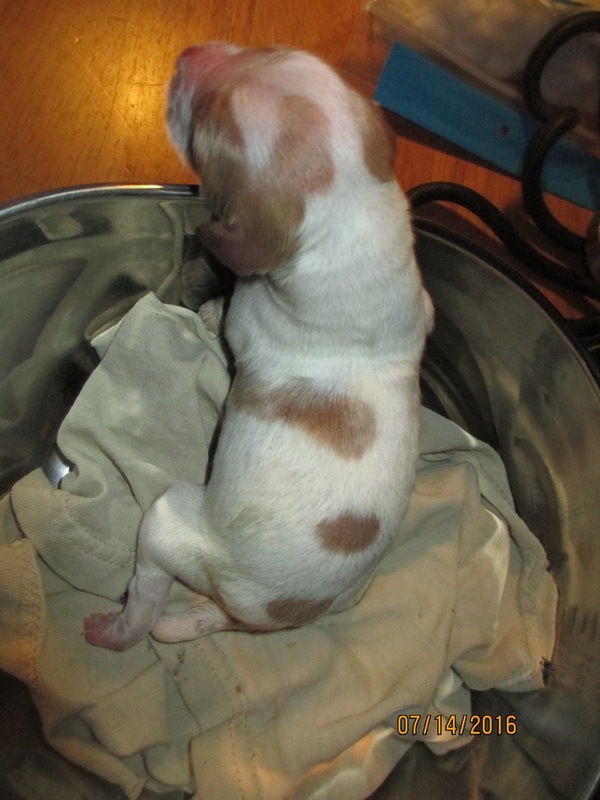 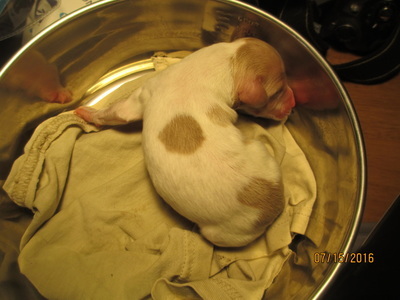 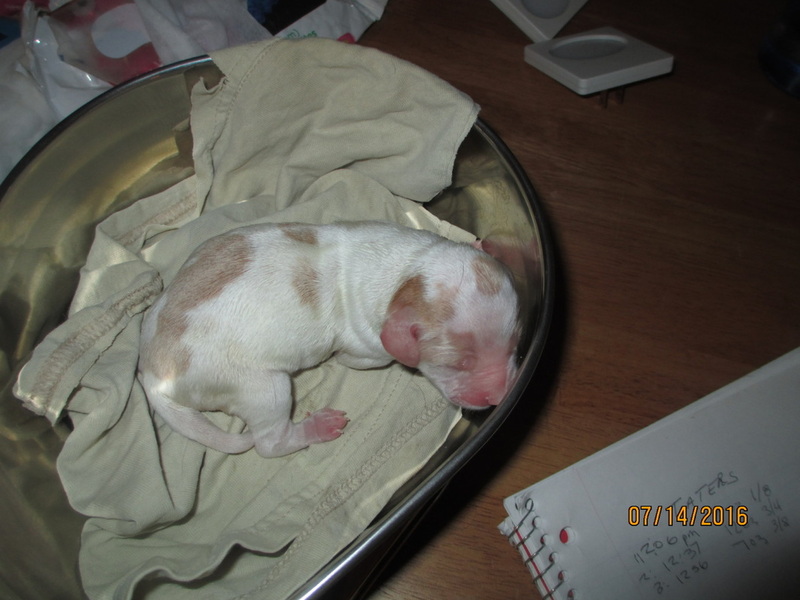 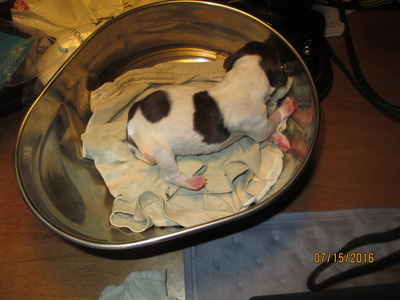 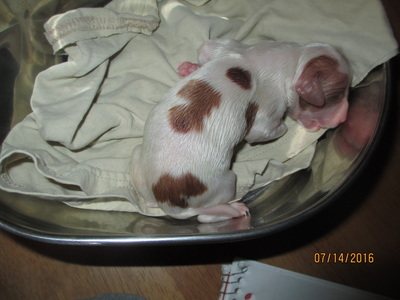 The remaining balance of $775 will be due at the time the puppy is picked up to go to his or her new home. 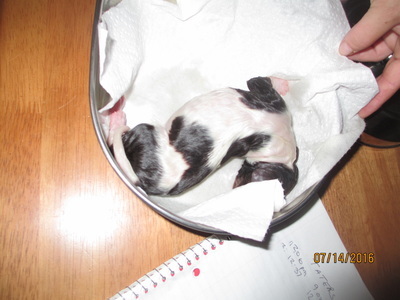 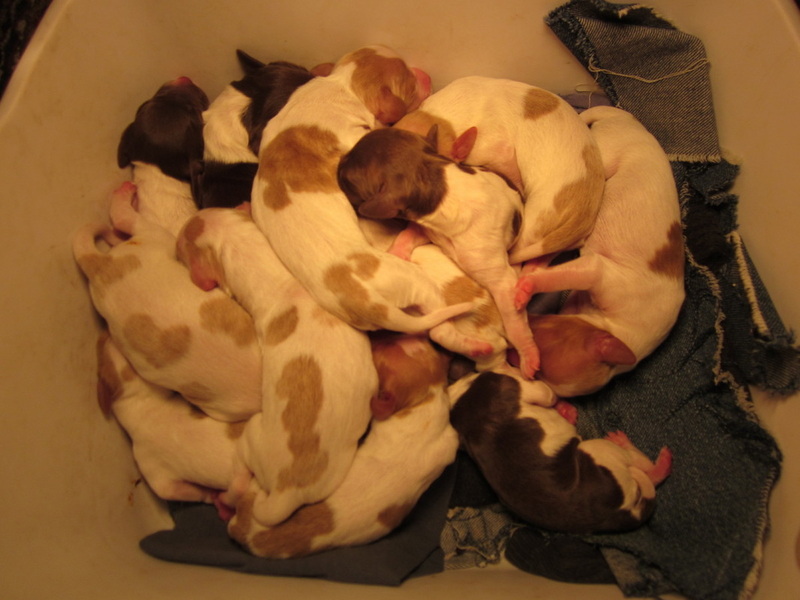 Please call 715-680-6378 or 715-680-6379 if you wish to make an appointment to meet Taters and her puppies.